George & I truly love what we do! In the past year, we always seek to improve and deliver the best product we can. We haven’t gotten a chance to share the insights to a wedding beyond a little sneak peak. Here we are…starting in 2016…we will be blogging! 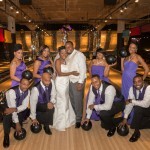 Not just weddings and engagement shoot, we look forward to sharing tips, our experiences, and more!